Much has been written about Adelaide restaurant Orana, recently crowned Australian Restaurant of the Year by Gourmet Traveller. Conceived by chef Jock Zonfrillo, Orana is a dining experience about Australia, featuring local produce and native ingredients unfamiliar to most diners. It’s fine dining perfected, marrying culinary craft with the unceremonious aura that comes from a restaurant that knows it’s worth. Orana is a lesson in restrained elegance, with each dish exemplifying the simplistic beauty of Australiana. The first course brought the camp site to the table, with potato damper wrapped around a eucalyptus twig, perched on top of red-hot coals. Simple in thought, but playful in execution, uniquely paralleling the usual complementary bread offered by the house; a stroke of creative genius that lets you know that this is haute cuisine flipped. 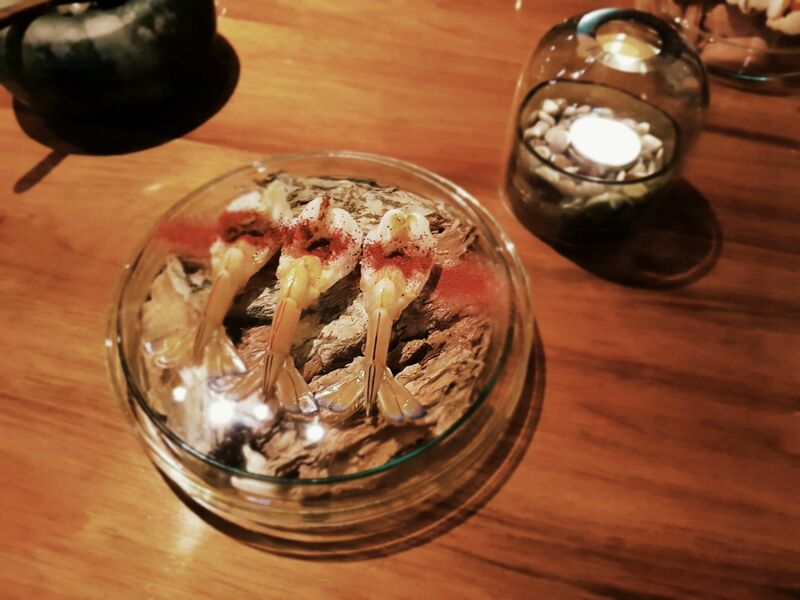 To Zonfrillo’s credit, the simple execution is the likely key to Orana’s success. The 17-course degustation introduces diners to a variety of foreign foods, embarrassingly originating from our very door-step. The many native ingredients used throughout the extensive menu may have been perceived as too different if presented within the context of equally foreign dishes comprising foams, gels and unnecessary flamboyance. Thus, the indigenous produce is introduced in familiar-looking dishes, giving each ingredient an uncontested pedestal. The seared prawns, for example, served with a dusting of Davidson plum powder simply but effectively showcased the supreme sourness of this native stone fruit, while the pancetta pie, served with a mountain pepper berry, expressed the full explosive force of Australian pepper, reminiscent of their Szechuan cousins. While many of the dishes served were unassuming, there were some surprises. 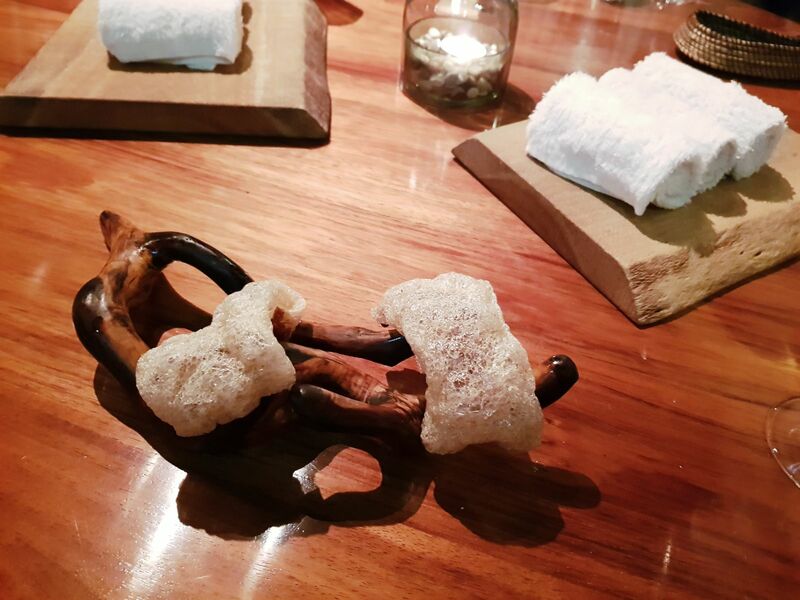 In a dish that seemed to defy the laws of physics, kangaroo tendon was dried and puffed, yielding a crunchy shell that could be mistaken for prawn crackers. Then there was the crocodile tea, a concoction that almost had to be conceived in a manner befitting Lewis Carol. 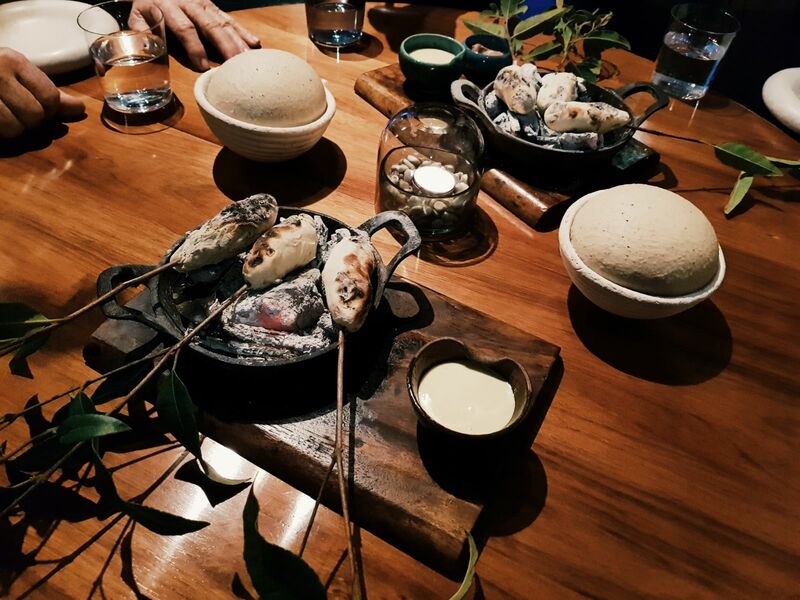 Recalling the restaurant highlights, it’s easy to feel overwhelmed by the food offered at Orana. But such thoughts only arise due to the new culinary lexicon required to describe these dishes. Paperbark and green ants seldom exist in the language of food and so, Orana seems otherworldly. But the straightforward expression of native ingredients in each dish allows diners to connect unfamiliar-sounding foods with recognisable counterparts: the paper bark is just like a wafer cone and the green ants like lime. Thus, Orana achieves a seemingly impossible oxymoronic feat, with dishes delivering otherworldly familiarity. I could go on and on about the food and their flavours, but truly, a restaurant like Orana deserves to be experienced and not recounted dish for dish. It’s an experience that will leave you wondering, why don’t we eat more native Australian ingredients? Tagged Adelaide, Australia, crocodile tea, Davidson plum, Gourmet Traveller, indigenous ingredients, Jock Zonfrillo, kangaroo, native ingredients, Orana, Restaurant of the Year, Restaurant Orana•by nobyleong•Leave a Comment on Restaurant Orana: Why Aren’t We All Eating Like This?